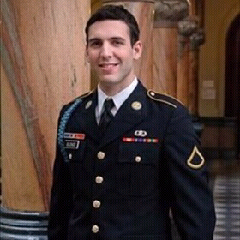 Governor Andrew M. Cuomo has directed that flags on state government buildings be flown at half-staff on Thursday, August 2, 2012 in honor of a Rochester soldier who died in Afghanistan on July 27. Pvt. 1st Class Theodore M. Glende died in Logar province, Afghanistan, when enemy forces attacked his unit with small-arms fire. He was assigned to the 1st Battalion, 503rd Infantry Regiment, 173rd Airborne Brigade Combat Team, Vicenza, Italy. Governor Cuomo has directed that the flags on all state buildings be lowered to half-staff in honor of and in tribute to our state’s service and those stationed in New York who are killed in action or die in a combat zone. Next post Solyndra Exec (2009): "The Bank of Washington Continues to Help Us!"